I designed my History from Afloat adventure because of my love for history and all things nautical! I think you’ll love this as well. Below I take the complexity out of planning a history tour from the water. And if you’re not a water person, well I’ve even developed a plan of action for you too. For those of you who laugh in the face of maps and instructions, well, I will give you my suggestions/tips and then give you artistic liberty to follow your own path and make this adventure all your own;) It’s as easy as 1,2,3,4,5. 1) Rent a Kayak or remember to pack yours! 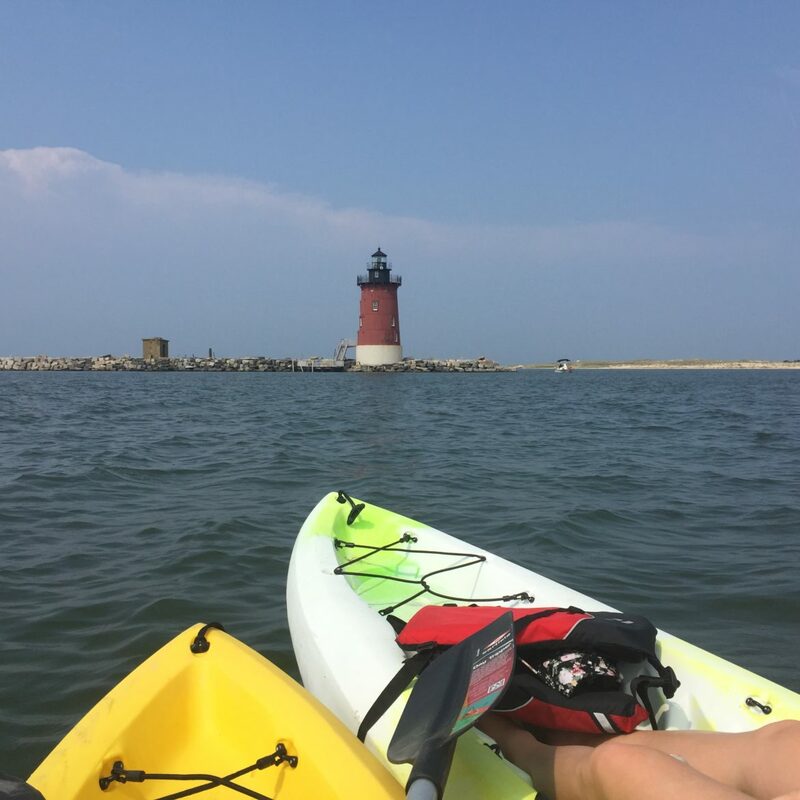 You can rent and launch (without the hassle of carrying a kayak up and over the dunes) at the Nature Center within Cape Henlopen State Park. Or you can launch at “the point” on the bay side (West Side). Many local kayak rental companies will deliver and pick your kayak up so you don’t have to haul it up and down the dunes, but be aware, if you deliver the kayak yourself, this dune is a doozy! Waterproof Mobile Phone Bag/Case or a Waterproof Gear/Camera Bag. Binoculars are also an awesome addition to your gear bag. Last time I was out there we had a school of dolphins cross right in front of us. We obviously didn’t need binoculars for that, but it’s always nice to be able to spot birds and other wildlife in the distance. This is inter-coastal, tidal water. It is NOT a lake, not even close to it. This means you need to be aware of the timing and direction of the tides, as well as the wind. If you kayak out on an incoming tide, the water will be pushing you from behind, but if you decide to paddle into an incoming tide, it becomes very labor intensive. This is critical to note because #1, your health and safety should be top priority and if you’re not accustomed paddling against a strong tide or wind, you could hurt yourself. #2, if you have rented a kayak, the rental companies expect to receive their kayaks back on-time and going against the wind and tide could dramatically postpone your arrival, possibly resulting in additional charges. Cape Henlopen serves as the Eastern terminus for the American Discovery Trail, the only coast to coast hiking trail in the United States.”4 Learn more by visiting the American Discovery Trail Website. The Delaware Breakwater Lighthouse as seen from the bow of the tall ship, the A.J. Meerwald. Don’t feel as though you have to venture out onto the high seas alone. There are numerous groups that provide guided kayak tours. In addition, there are other opportunities to capture that perfect photograph from another vessel, such as the Cape May-Lewes Ferry, the A.J. Meerwald or the Kalmar Nyckel. 2) Take a Trip on a Tall Ship! 3) Cruise on a Big Boat! The ferry offers visitors the ability to travel back and forth across the bay both on-foot and by car (and pets are welcome!). They provide free trolley service to local attractions and you can make a day of it! 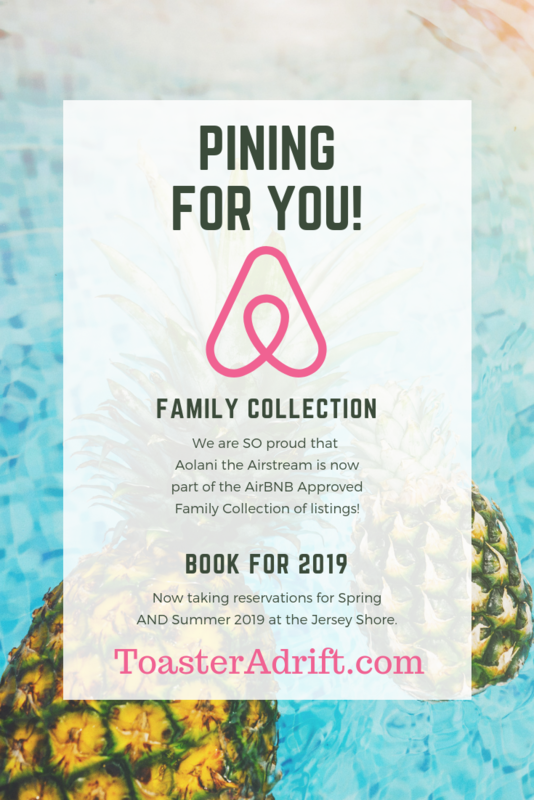 Shopping, Dining, History, Wildlife, Wine, you name it, you can experience the best on both sides of the Bay:)Visit their Website for additional information. And alas, for those of you who prefer the land yachts to the seafaring ones, I have a Plan C for you. Not only is Cape Henlopen State Park and Campground only about a 15-25 minutes bicycle ride into downtown, historic Lewes, Delaware, but there are a variety of walking tours both at the park and in town. And don’t let your sea bound friends get you down, because there’s just as much to see on-foot as there is by water. One of my personal favourites is the Cannonball House in downtown, historic Lewes where you can see first hand, the cannonball left behind during the British Bombardment of 1813. Over two hundred years later, it is still lodged quite comfortably in the side of the house. 5.) American Discovery Trail: Delaware. Discoverytrail.org (1991-07-30). Retrieved on 2016-10-12.